Rare thing, this volume. What we have here is your actual brand-spanking, hot-off-the-press, shiny new book on coarse fishing. Having from time to time sent out distress calls about the dearth of decent modern coarse fishing titles without any response whatsoever, I had more or less given up hope, but here we have an absolute treasure; possibly the best thing Medlar have published about coarse fishing since Carp Catchers’ Club. On the face of it, it is more than a little surprising that no-one has written a history of the float before, because it is a good excuse to publish a book full of subtle line drawings and lush colour spreads and I am pleased to say that Medlar haven’t ducked their responsibilities in this regard. 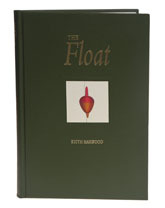 What you get is 232 pages (including an index, by the way), devoted to the float over the centuries, finishing off with a section on the ‘Float in Print’, an excuse to retail some fine stories. Though The Float begins in the fourth century AD, more than half the pages are devoted to the twentieth century and the work is decidedly Anglocentric – I find it hard to believe that the Brits made all the running. Despite this, there is very little to criticise and so much to enjoy that I sat down intending to browse for ten minutes and read the whole book in one go, finishing in the wee small hours with a strong urge to go fishing. Most definitely a classic.